You try to retrieve your ropes after abseiling and they get stuck. What do you do? 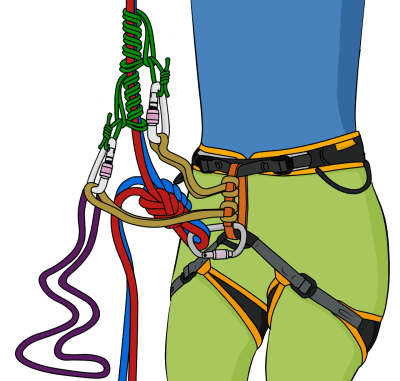 If you are about to abseil down complex terrain, consider the following prevention strategies before you throw your ropes. 1) Adding a carabiner if the rope was previously threaded through cord. 2) Extending the main abseil point over the lip of a ledge. 3) Moving the knot so it is over the lip of a ledge. 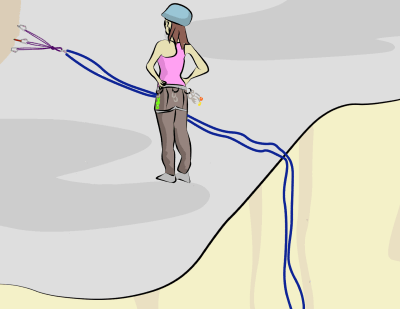 Avoid abseiling from anchors that are low down and far away from an edge, forming a right-angle in the rope. 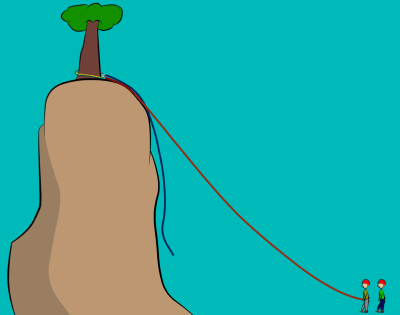 The added friction from the rope running around the edge will make it more difficult to retrieve the rope. Also, if there is mud or snow on the edge, the rope will cut into it, causing the knot to get stuck. If you must use an anchor like this, you can extend it with cord so that the main point hangs over the edge. If this is not possible, you could make a short abseil over the edge and then set up a second anchor on the face. As you abseil down, look for places where the knots could get caught as they are pulled down during retrieval. Flakes, cracks, spikes, trees or constrictions between boulders are classic places for ropes to get stuck. Flick your ropes so they don’t run over these features. When throwing your ropes down in high winds, they are unlikely to drop where you want them. To combat this, clip the rope to yourself in short loops. Release the loops one at a time as you descend. If there is a lot of friction between the ropes and the rock or anchor, it is worth doing a test pull. Once the first climber is down, they pull on the retrieving rope. 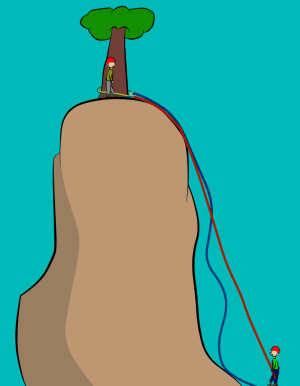 If the ropes don't move, the second climber can reduce friction at the anchor (see above). Do another quick test pull to see if that solved the problem. 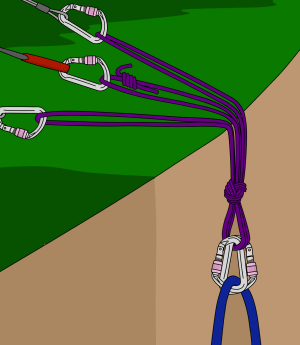 If the ropes still won’t pull, the second climber could abseil part way down the face and make an intermediate anchor to abseil from, before joining the first climber at the lower anchor. This, however, may cause more problems if the ropes get stuck during retrieval, since it is much harder to retrieve ropes alone. 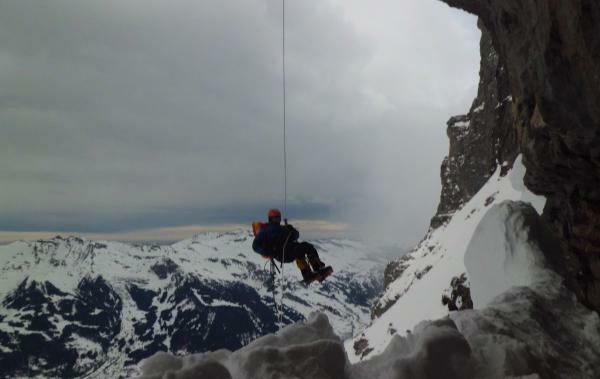 When abseiling down terrain where ropes are likely to get stuck, it is much better to do shorter abseils. This will allow you to have more control over where the ropes run, and will also mean that you won't have to climb back up as far to retrieve stuck ropes. By standing further out from the wall when pulling ropes, the knot is pulled through the air instead of against the rock, meaning that it is less likely to get caught. It also helps to flick the rope to guide the knot around obstacles. Be aware that when a stuck rope comes free, it could dislodge loose rock. Try to get yourself into a position where you can move out of the line of rock fall and not shock-load the belay which you are hanging from. If you have just started pulling the ropes, first make sure you are pulling the correct one, and are not pulling the knot up into the anchor. Resist the temptation to immediately pull hard on a stuck rope, as this may jam it further. Instead, flick the ropes to see if you can dislodge them from wherever they’re stuck. You can also pull on the other end to see if reversing the ropes unsticks them. If this doesn’t work, try pulling as hard as you can on the stuck rope. 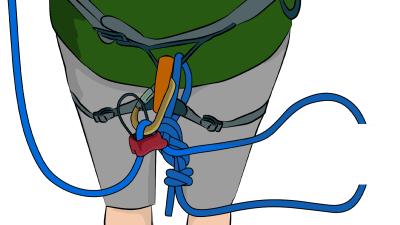 To make this easier, wrap a prusik cord around the rope and lean back with it clipped to your belay loop, or get more weight on the rope by having your partner pull too. If a stuck rope cannot be freed from below, you must climb back up to deal with whatever is holding it in place. There are two main ways to do this; leading and prusiking. Leading is the preferred method since it avoids the obvious danger of releasing loose rock if the rope suddenly comes free. Tie into the end of the rope that you have managed to pull down, then get belayed on this end as you lead back up to the problem. The obvious limitation is that you can only climb back up as far as you have rope available. 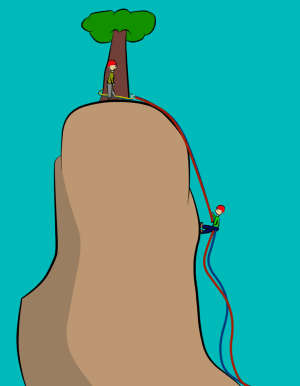 If the rock you abseiled down is unclimbable, you will have to climb the rope itself using prusiks. Just because you and your partner have been pulling on the rope doesn’t mean that it won’t suddenly come free while you are prusiking up. This is especially true when you get higher up and change the direction of pull in the ropes. Therefore, it is essential that you keep yourself safe while you ascend. The method you use to do this depends on if you have one or both ends of the ropes. Having both ends of the ropes within reach is much better than just having one. You can either wrap your prusiks around both ropes (described here), or just the ‘pulling’ rope (described below). Whichever method you choose, make sure to keep re-tying back-up knots (figure 8 on a bight or clovehitch work well) in the ropes as you ascend. If you prusik up just one rope, you’ll need to counterbalance it with your partner’s weight in order to be safe. Do this by getting them to attach to the other rope. This closes the system so that you won’t fall if the ropes suddenly come free. 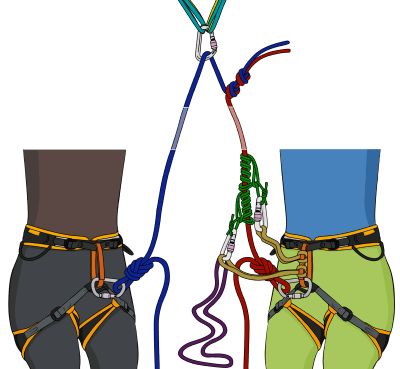 The advantage of this method is that your partner will be able to feel your weight pulling on their harness at the point when the ropes can move freely. This gives you a better idea where the ropes are stuck. Once you reach the anchor, or a point where the ropes move freely, you can avoid getting them stuck again by re-routing the ropes, building an intermediate anchor or extending the original anchors over an edge. 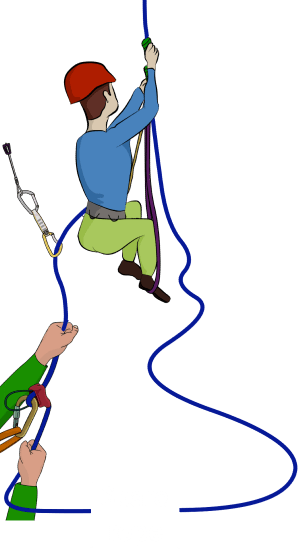 1) If the ropes are running through cord at the abseil station (instead of a carabiner), make sure to prusik on both ropes. The sawing action of you prusiking on one rope could melt the cord and cause it to fail. 2) Bouncing up and down on the ropes while prusiking generates more force on the anchor than the force you applied when abseiling from it. 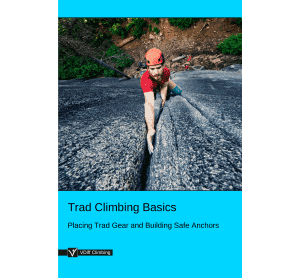 If you are uncertain about the quality of your anchor, you can place gear on the rope which you are ascending, while being belayed (described below). If you were able to pull quite a lot of rope through, you can tie into the end of the rope and get belayed up on this. Place gear and clip it to the lead rope as you prusik up the stuck rope. Once you have reached the end of the other rope, it will be safer to switch your prusiks to be around both ropes. Make sure to back up your prusiks with a knot on both ropes if you do this. 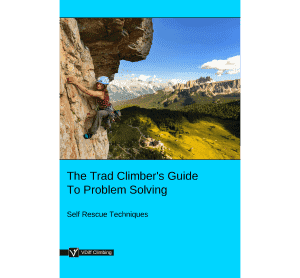 Before committing to prusiking up a single rope, assess how many gear placements there are above and how much rope you have available to lead with compared to where you think the rope is stuck. If you have a lot of rope, the safest option could be to cut the rope and abandon the section which is stuck above you. You will then be able to make a series of shorter abseils. This is a poor situation to be in. One option is to cut whatever rope you have managed to pull down and use this to protect sections of downclimbing and to make short abseils. 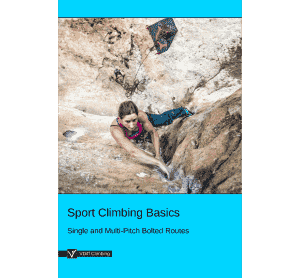 You can add extra distance to your abseils by descending on one rope and joining together a collection of slings/cord to use as a pull down cord (learn how here). Tie a clovehitch (figure 8 on a bight is fine too) on a screwgate and attach it to your belay loop. This is your tie-in point. Your partner ties into the end of the stuck rope (to close the system) and then puts you on belay. Prusik up the rope. 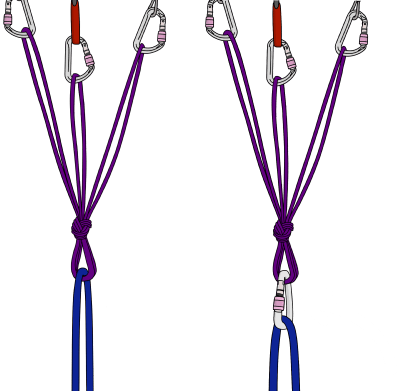 You will need to re-tie the clovehitch as you ascend. Tie a new one before untying the old one. 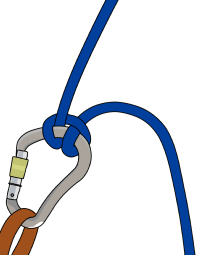 You could also shuffle rope through the clovehitch to adjust it, but be aware that if the stuck rope pulls free while you are mid-shuffle, there is a real danger of severing your finger in the suddenly tightened knot. Place gear as you ascend and clip this into the rope between you and your partner. If the stuck rope suddenly pulls free, you will fall and be protected by the gear you placed. 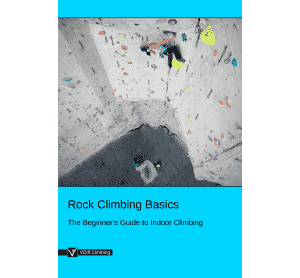 Your belayer will need to give slack as you ascend and take in slack when you adjust your clovehitch. 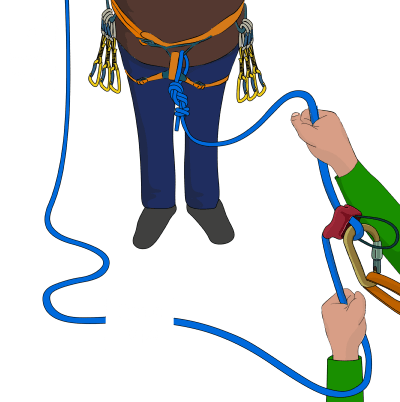 The techniques described in this article are merely a guideline to the basics of staying safe in standard 'stuck ropes' situations. There are endless possible situations of varying complexity and danger. Practise the basic skills outlined above in a safe environment and use your judgement.